I am very please with Rotter. They have helped to get rid of The critters that are tearing up my yard. I am very grateful. I would like to thank James S. A supervisor and Dustin N. For their excellent service and kindness. We live on an acre lot with lots of trees. We started our service about a year ago after battling brown recluse spiders for years. My husband became extremely sick and had to be hospitalize for three days after a spider bite. He became septic and almost passed away. This past December my husband was “downsized” at work. I called to cancel our spraying service because we were unable to afford it until he found a new job. Dustin and James worked with us to come up with a plan so we didn’t have to completely cancel service and then pay the new customer fee to start the service again. I was extremely touched by their kindness and understanding. They did not want to lose us as customers. They were more concerned about finding a way to assist us and retain us as customers. Thank you to both of you and your caring customer service. I believe this company truly cares about their customers. Dustin is always polite, wears shoe covers on the carpets, and doesn’t cringe when he sees my husband’s basement workshop. I would like to also thank Tony, our first agent. He always took the time to ask about the family. I truly appreciate all of you. I wanted to put out a good review because sometimes people are quick to complain and neglect to thank people for the goodness they put into this world. I would recommend this service 100%. Rottler is a first class operation. Their scheduling, their follow through, their reminders, and the service they provide are excellent. The Rottler guy who treats my house is knowledgeable and thorough. He explains what’s going on and takes care of it. I would suggest anybody who is looking for a pest control service to make the first call to Rottler. We are immensely relieved that Rottler solved our rat problem so quickly. Hard to believe rats are so smart and devious. Luckily Rottler has even smarter technicians. Alex is very thorough and does a great job. We are very happy with him and your company. Making progress. Each inspection is getting better. Very pleased with technician each time. Have used Ritter for years. Always been happy with the service and personnel. Always get an explanation of what is provided and the cost . Am very pleased with my current service person. Always willing to come out when needed. Competent personnel polite and friendly. Tony is our service representative and he does a fantastic job! Very thorough and communicates well with us. You couldn't ask for a better person to represent your company. Very happy with your service and the tech is great. Still working on it. Steve is great. Caring and thoughtful. Prompt service with very professional staff. Lance is the best..flexible schedule, no issues since we started using Rottler. Thank you Steve and Kance for your professional service and information. I highly recommend Rottler! Ben is wonderful to work with. We are happy with service. Technicians are always so nice and polite. I have been pleased with Rottler since Instarted with them 3 years ago. I like that I receive notification in advance of their visit and after the visit, I not only receive a written report, but I am called. I requested that a specific area be focuses this past Fall and they did a great job! I rarely find a bug in this house and I live on >8 acres. What I really appreciate is how nice and respectful the 2 guys are that come to my home! Rottler is dedinitely doing a lot of “right” to be able to hire and retain such great employees! CJ did an awesome job getting rid of the squirrels in our attic. Only downside was it was around the holidays so we could not get them out as quick since they had so many days off. Lights up as scheduled. Lights down as scheduled. Employees are pleasant and knowledgeable. Good communication with technicians. Done well. No issues or bugs! Very professional. Consistently excellent service and excellent communication. Thanks for helping me keep the unwanted bugs and spiders away. Very please with service. All questions answered & full explanation of service provided. 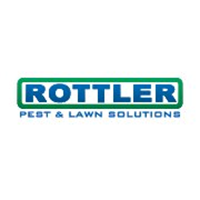 Great service, able to work through scheduling times, very satisfied with Roettler! The house remains free of unwanted insects and animals. When there have been signs Rottler is quick to address the problem. Rottler has done everything they said they would . Excellent service. Very thorough and personable technician. The person who services our property is concerned and through.